Simply Slender Full Caps help you feel full and eat less! 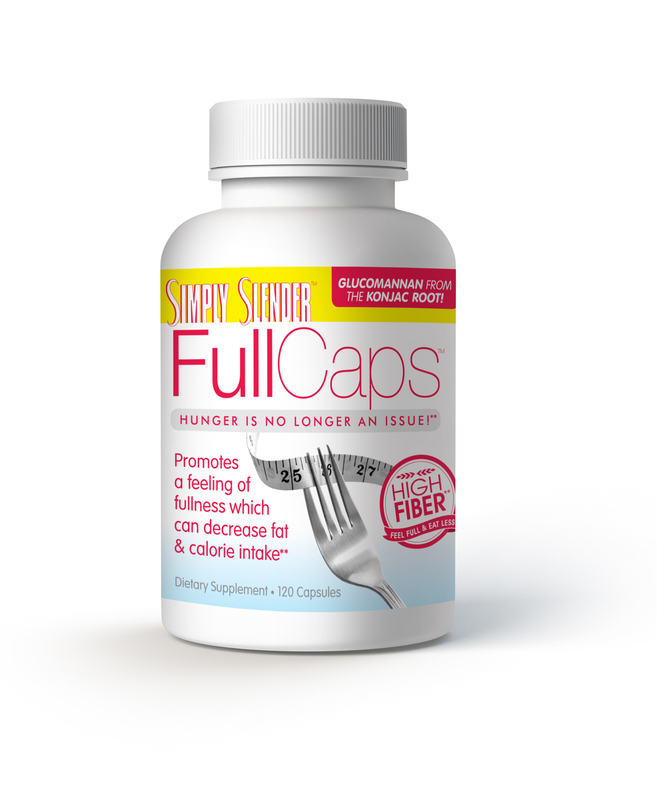 Made with Glucomannan, a bulk-forming, soluble fiber derived from the Konjac Root, Simply Slender Full Caps will help you reach your weight loss goals by tricking your body into thinking it’s full! You will eat less, absorb fewer calories and lose weight! It couldn’t be easier. Take Simply Slender Full Caps as part of the complete Simply Slender diet. Take this product as recommended. Without drinking enough water, this product may swell in the throat causing blockage or choking. Avoid use if you have ever had esophageal narrowing or swallowing difficulties. Do not take this product if you are pregnant or nursing. Consult your doctor before use. Do not take this product within two hours of taking medications or follow the advice of your health care provider. Discontinue use and consult your doctor if any adverse reactions occur. If you have diabetes, consult with your physician before using this product. This product is not intended for daily or prolonged use.